UNICEF has entered into a partnership agreement with Feedback Foundation for Scaling up Implementation of Lohiya Swachh Bihar Abhiya (LSBA) in Bihar. This agreement includes a mandate to create 100 State Resource Persons (SRPs) in 2 batches by August 2018. The process includes screening of the candidates, 5 day training of the selected candidates on Community Approaches to Sanitation (CAS). Post 5 day training, candidates have to attend a 7 day field based training on Community Immersion Module (CIM). To start with the process, screening of the participants at State Level was held from 21st to 23rdJuly 2018. Screened candidates then attended a 5 day training on CAS facilitated by Feedback Foundation from 26th–30thJuly, 2018 at Bhojpur, Bihar. 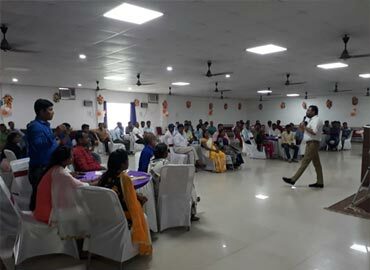 This workshop was organized by Department of Rural Development, Lohiya Swachh Bihar Abhiyan, Government of Bihar and was attended by 71 participants selected fromdifferent districts of Bihar. After this training all the participants went for an intensive 7 day field based training on CIM from 1st – 7th August, 2018, whichwas conducted in 7 different districts of Bihar under the leadership of FF Regional Divisional Coordinators posted in those districts. Grading of all the participants is being done, based on which they will be categorized into SRP, DRP and Specialist Facilitators. The first list of SRPs will be submitted before 15th August 2018. Feedback Foundation is one of India’s leading providers of sustainable solutions across rural and urban development projects. In the last ten years, using the community engagement approach, Feedback Foundation has worked across many Indian cities and districts, providing capacity building, planning and implementation support to various public, private and international agencies. Feedback Foundation has been a trusted partner to the Corporates and social organizations for the implementation of R&R and CSR programs across large scale projects.